Earn $1.99 in VIP credit (199 points)What's This? 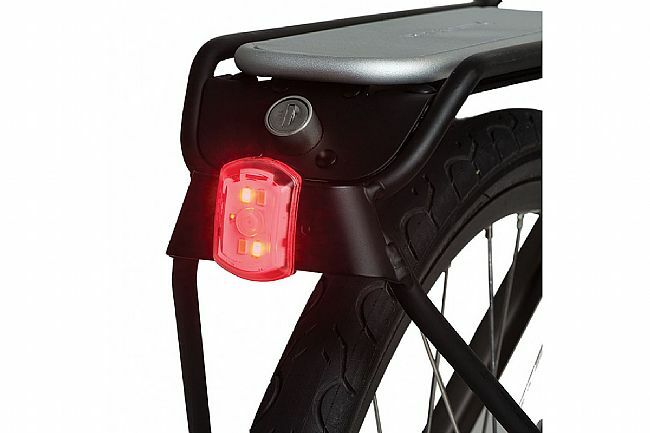 This clever light is both a 60-lumen white LED front light AND a 20-lumen red LED rear light. 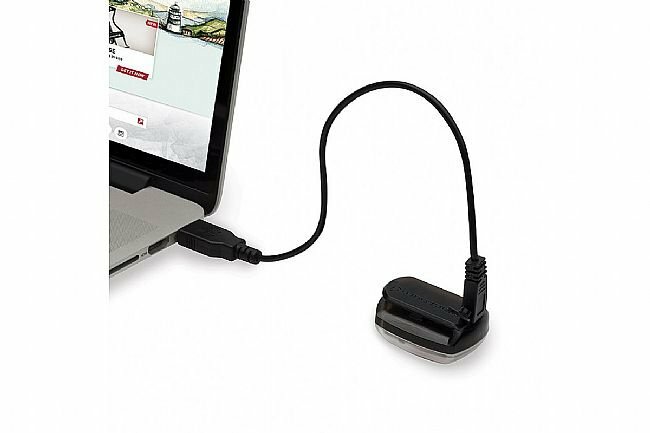 Quick-mounting, versatile, affordable, and USB-rechargeable. What else could you need in a light? 18 grams. Micro USB charging connection. Includes charging cable. Run time: 1.5 hours on high. 5 hours on strobe. Charge time: 3 hours. Mount fits 22-35 mm diameter, plus clip for clothing. This little light is always with me on my commute. It can function as a front white liight or red rear taillight. 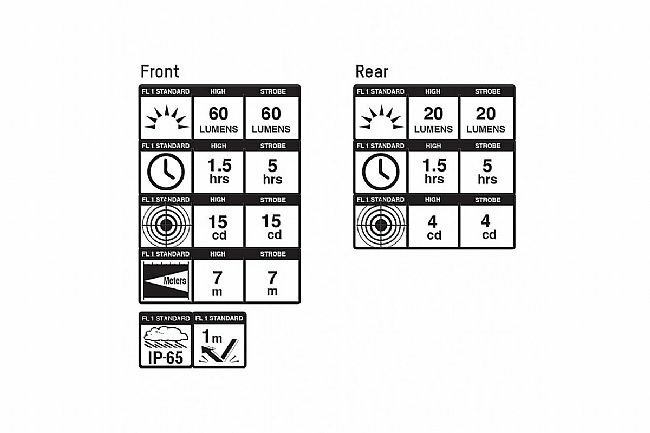 Two modes for each color, solid or blinking. It's peace of mind in case one of your other lights dies. 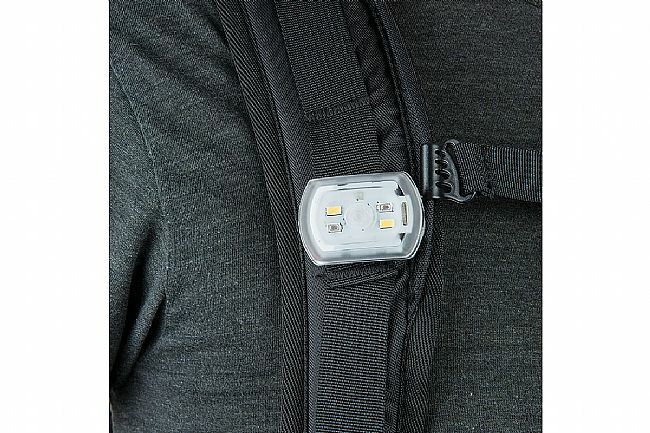 Visible at a distance and bright enough on solid white mode to get you home in a pinch. What. Great little light! Ive used this almost daily for 6 months, it is highly visible, has good battery life(4 hours in flash mode, 2 12 hrs in solid mode), and its nice and small. I can mount on my handlebars for road rides, day or night. 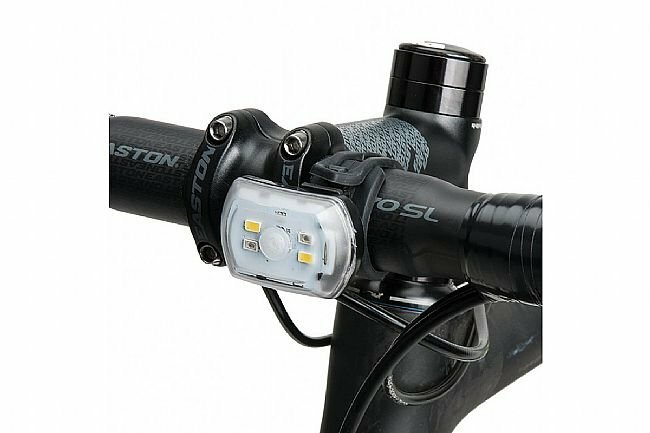 But, I mostly use the clip on feature to mount it to my helmet or backpack for a rear red light in flash mode so Im visable to cars on the road. Ive even used this for a headlight when my main lights battery died before my night Mtn bike ride was over! I was 3 miles from the trailhead on rough trails, I put this little light on my handlebars in the solid white light mode, and I was able to ride back to the trailhead! I love it. How is this not a million star light? 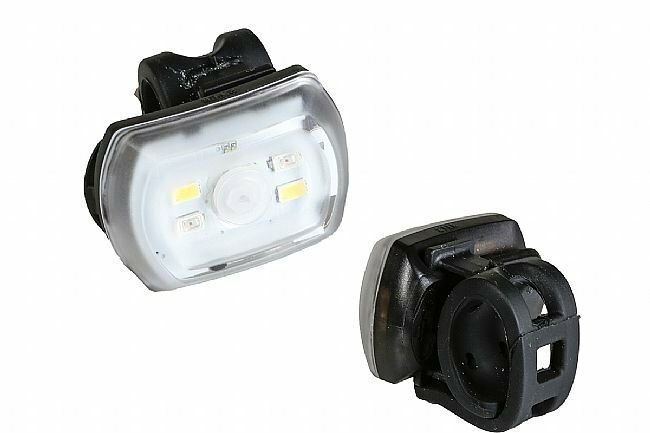 Front light? Check! Rear light? Check! Other front light? Hell yeah! 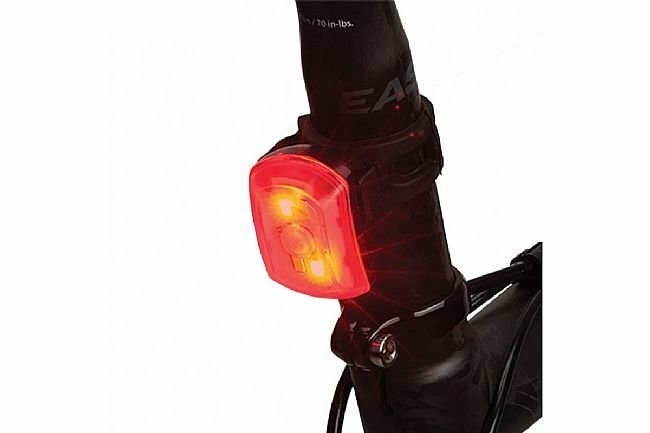 Other rear light? Bingo! The first time I went to charge it the USB port cover broke off. In order to access the charging port you have to slide the light off of the mounting bracket and today when I did this the clip that holds the light to the mounting bracket broke off completely.